Featuring the most talented team of stylists in the Philadelphia area. Experience the difference our innovative approach makes in sculpting the image which already lies within you. Specializing in Dry-Cutting, Balayage color, extensions, keratin treatments, make-up and “editorial-worthy” evening looks. Styling up-hair and various natural blow-outs with beach waves, flat waves and glamorous sets. 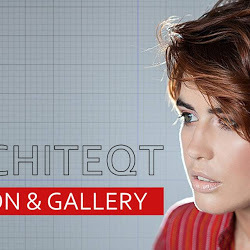 Architeqt Salon has paused their coupons for now. To be notified when new coupons become available, click GET COUPON below. Architeqt Salon was Voted Best of Philly (again) in 2018.